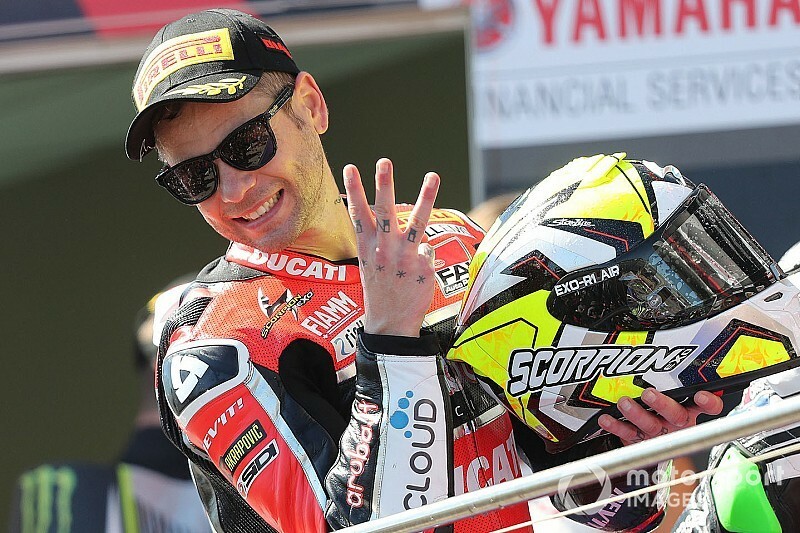 Ducati rider Alvaro Bautista made it three wins out of three on his debut World Superbike race weekend at Phillip Island. Bautista, who has joined the series after nine seasons in MotoGP, went lights-to-flag in the final race of the season opener to complete his clean sweep. Reigning champion Jonathan Rea had run Bautista close in the 10-lap sprint earlier on Sunday, but this proved a false omen for the full-length third race. Bautista kept the lead off the line with ease, while Rea was then swiftly picked off by teammate Leon Haslam at the Turn 4 right-hander. Haslam could do little to keep the pressure on Bautista, as the Spaniard gained nearly a second with every tour of the circuit. 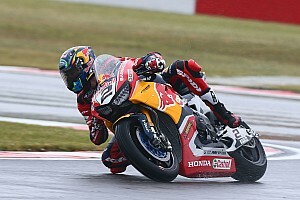 But the reigning British Superbike champion did keep Rea well at bay for the first half of the race – and when Rea finally closed in and made the move at the first corner on lap 15, Haslam immediately retook position at Turn 4. With Yamaha riders Marco Melandri and Michael van der Mark edging ever closer to the Kawasaki pair, Rea made another Turn 1 move on Haslam a lap later, hanging on to the second spot for more than a handful of corners this time. The duo then swapped position at Turn 1 for four laps in a row before Rea consolidated the spot after a failed block-pass from Haslam at Turn 4 on the penultimate lap. Bautista, who had long disappeared up the road, rolled off the throttle on approach to the line but still claimed victory by over 12 seconds. In finishing runner-up for the third time this weekend, Rea completed his first three-race winless run since the middle of 2017, while Haslam was two tenths behind to bag his second podium of the weekend. The Yamahas ultimately couldn't challenge the Kawasaki pair and instead scrapped for position between themselves, with van der Mark and his works Yamaha teammate Alex Lowes picking off GRT rider Melandri for fourth and fifth respectively in the closing laps. Bautista's teammate Chaz Davies progressed from 16th on the grid to seventh, securing his best finish on what has been a difficult first weekend racing the new Panigale V4 R bike. 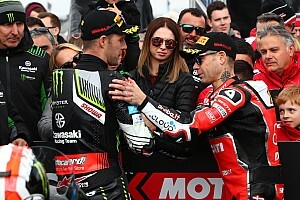 Melandri's GRT teammate Sandro Cortese took eighth, while GoEleven Ducati rider Eugene Laverty narrowly beat the works Honda of Leon Camier to ninth. The factory BMW bikes had a muted race against the backdrop of Tom Sykes' heroics earlier in the weekend, and Sykes himself was beaten to 12th place by teammate Markus Reiterberger. The second works Honda of Ryuichi Kiyonari claimed 15th as the Japanese returnee took his only point of the weekend. Althea Honda rider Alessandro Delbianco had briefly delayed the start with a technical issue, and then immediately exited the race in a fast crash. 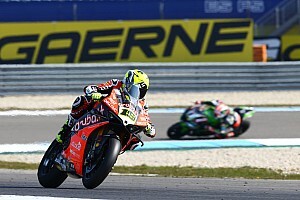 Bautista will head into the second round of the season in Thailand leading Rea by 13 points in the riders' championship.